Whether you sell jewelry, cloth diapers, music or tools, it’s clear that creating an e-commerce site is one of the most valuable things you can do for your business. In fact, this is one of the most important aspects of the Internet, removing all distance barriers and introducing the consumer to your product in the comfort of his own home. The initial creation of your e-commerce site may have been fun and exciting, but it’s easy to forget about it, leaving it to gather dust. Don’t assume that the motif you created two years ago will continue to draw customers to your site. It is important that you keep things fresh and appealing, and here are a few tips to tell you how. 1. Clean up the site on a weekly basis. 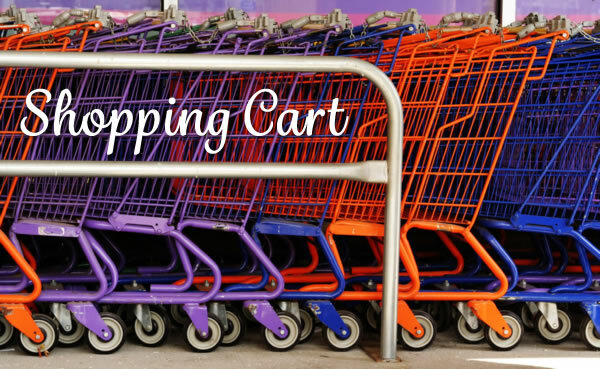 Comb through the home page, category pages, shopping cart and any other changeable parts of your store. Remove old promotions. Get rid of that fall-themed or Mothers’ Day content. Check your featured products to make sure they are not out of stock. Read customer reviews to make sure they are fitting. 2. Highlight new products. Customers do not want to see the same old products; create new items and then broadcast it to your visitors. Move new items to the top of your product listings. Create categories to feature them. Blog about them. 3. Spice up your promotions. If visitors see the same promotions week in and week out, they stop noticing. Rotate daily, weekly or seasonal specials to keep things interesting. 4. Play around with your theme. Try re-skinning your site with a different color scheme or background. Use seasonal colors like red and green for Christmas or pastels for spring. Add more theme-oriented images throughout the store. 5. Post fresh content. Revamp key pages. Write a fresh blog. Add posts regularly to your social media sites, and be sure to respond promptly to any comments or reaches. 6. Be aware of design trends, and be competitive. Feel free to scope out your competitors’ sites and see what’s hot and what’s not. For example, right now the minimalist motif is trendy–white spaces, huge product banners, not a lot of clutter. 7. Stay in tune with navigation on your site. When was the last time you checked on how people were interacting with your site? Look at your analytics and see what paths are being followed. Adjust as you need and want. If people are not using certain links, get rid of them and try new ones. If some of your categories are not attracting attention, set up easier paths. 8. Do a complete overhaul every three to five years. If your site hasn’t been redesigned in the last five years, chances are it looks old. Visitors will sense the outmoded atmosphere and look elsewhere for something more sophisticated. Continual revitalization of your e-commerce site is essential to your success. The time spent on it will be well worth your while. Let us know if we can help you create a new e-commerce site or if you need to revamp your existing one. We are here to assist you.